Which language do you think has made the greatest contribution to the promotion of better understanding among the peoples of the world? The human race is divided by a multiplicity of languages, many of which have come to play an important part in the affairs ofthe world. A little reflection reveals that the importance of a language is associated mainly with the ideas and knowledge it contains. The more ideas a language can convey to the peoples of the world, the more it will be used by people everywhere. Thus, the language that is used most extensively is the language that makes the greatest contribution to human progress and mutual understanding between peoples. unity. These efforts on the part of the various countries of the world convey an idea of the importance of the English language. It would be instructive, however to consider the reason for the extensive use of the English language. One of the reasons is that several countries in the world have been occupied mainly by immigrants from England such as the United States of America, Australia and New Zealand. It is therefore not surprising that the people of such countries have continued to use the English language, though they have severed their political connexions with their mother country and acquired independent status, for one cannot discard one’s language easily. 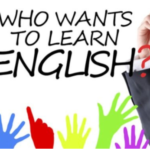 Another reason is that, in the course or history, a large number of countries throughout the world came directly under British rule, where English was made the main language for administrative, commercial and all other purposes. As the leading colonial power in the world, England has indeed exerted a profound influence on the affairs of the world, though her colonial possessions are rapidly becoming independent one after the other. Concomitantly, the English language too has come to play a leading role in international communication. Thus, many people whose native language is not English have studied English and become more conversation with English than with their own languages. This is especially true with the leaders of the people to whom English is a foreign language. As a result, the English language is used by them not only in the administration of their countries but also in all their institutions of higher learning. The most important reason for the pre-eminence of the English language, however, is that it is the source of all knowledge. The Industrial Revolution that began in England and spread to other countries revealed the English genius for invention. Even the political and social institutions of England, which were affected tremendously by the Industrial Revolution, have evoked the admiration of all countries. The knowledge, ideas, experiences and profound thoughts of the English people have made a deep impression on the minds of the people of other countries. Innumerable books have been written in the English language on all branches of study, and such is the thirst of English scholars for knowledge and their desire to communicate it, that they have even translated books of great value from other language to English for the benefit of all. Writers of other nationalities too have written a great number of books in English and made a substantial contribution to the enrichment of the English language. As a result of all these efforts, the English language has become the main avenue to the greatest storehouse or information. Therefore, people everywhere have developed a special respect for the language and they continue to learn it with avidity. As the English language is used so extensively it is mainly in this language that the peoples of the world communicate with and understand one another. No other language has such a wide appeal or popularity. I am therefore of the opinion that it is the English language that has made the greatest contribution to the promotion of the better understanding among the peoples of the world.